Across the world there’s always food on the beach. 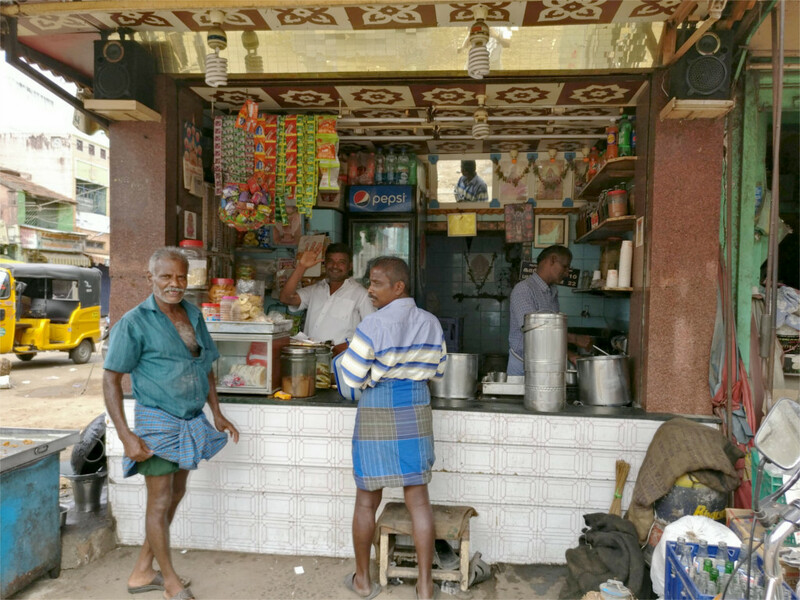 Ice cream is a standard, and Dhanushkodi was no exception. No stalls or trucks, though. Ice cream was served out of the back of a three wheeler along this beach. I liked the attention to fashion that this ice cream man showed. The haircut is copied from Virat Kohli, the captain of the Indian cricket team, and so is the body language. He’d just shown the kid his place for asking for a flavour he did not have. He wasn’t put off at not having made a sale. But then Kohli is not very put off by not winning a match. What The Family and I couldn’t have enough of was the other staple on this beach: slices of cucumber, pineapple and watermelon, with a dash of powdered red chili sprinkled over them. The beach was lined with women selling these long slices in paper cups. The cucumber and melon was grown on the island, we were told, but the pineapple comes from inland. 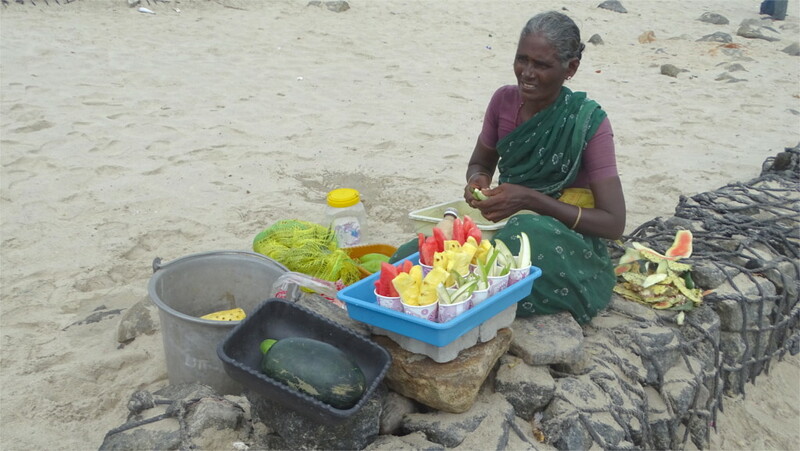 On a hot day on the beach, the juicy fruits with their jolt of sugar and chili were addictive. I love walking through markets when I’m in a different country. It gives you a good feel for what you might get to eat. 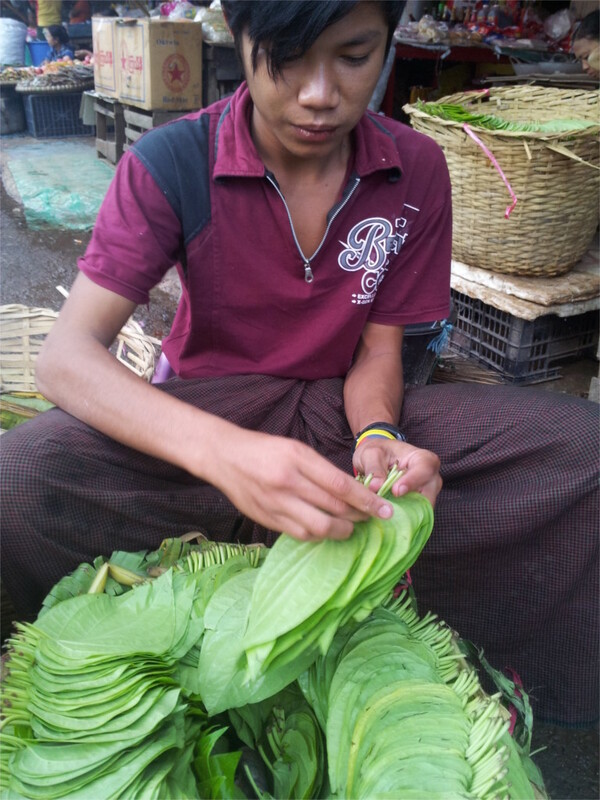 Our exposure to Myanmar is so small, that I was happy when we got some time to walk through a market in Mandalay. I would find out what the Burmese grow and eat. 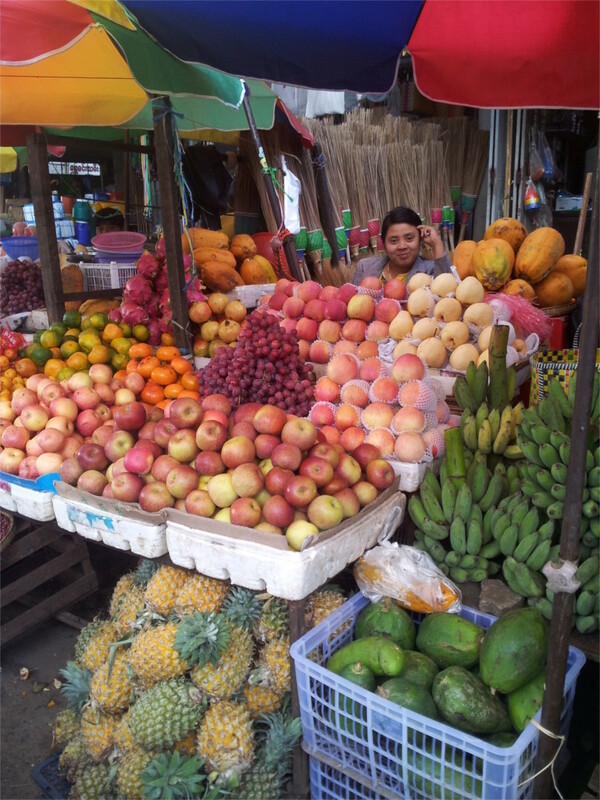 There were fruit shops at the mouth of the market. Almost all the fruits were exactly what you might see in India. No surprises there except for a pile of dragon fruit. Perhaps we had not travelled far enough to the east to begin seeing the really exotic. One of the things that I learnt on a recent visit to Chennai is that fruits and bananas are different things. So I was not surprised to see a banana stall near the stall of fruits. 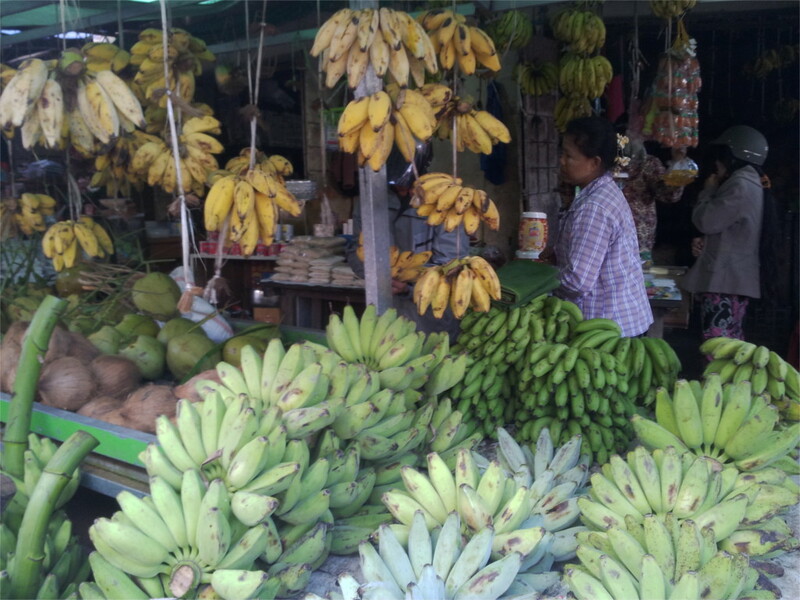 The variety was amazing: Myanmar has quite as many kinds of bananas as one could expect in southern India. We got to eat some of these varieties later on. There was a sweet and buttery tasting variety with mottled yellow skin which was nice and quite different from anything I’d eaten before. I guess one can find some of these varieties in north-eastern India if one looks hard. The next few shops sold vegetables. I recognized most of them, although I would think of some as mildly exotic. There was eggplant of a slightly different shape than I’ve seen in Mumbai. The chinese cabbage looked large and crisp. Lotus stem and various beans were placed next to the usual staples of potatoes and onions. 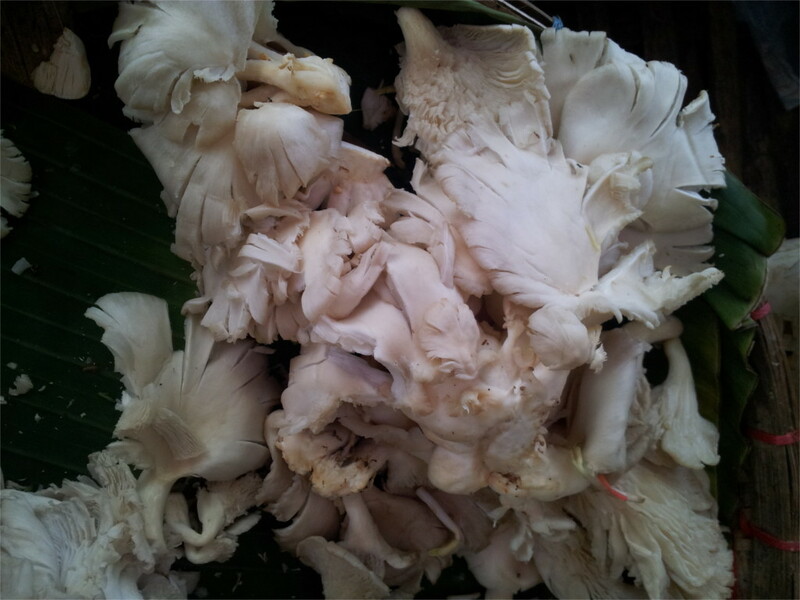 The only exotica was this white fungus. I recognized it as the main component of a tasty salad I’d had the previous night. I wonder whether it is farmed or collected. The impression that the food was not very different continued when I passed a stall full of fish. The featured photo shows some of the fish, but really showcases the plates which they are put on. I’ve never seen such beautiful plates for fish in any Indian market. Nearby was this man sorting through a stack of paan. Nothing exotic here for us except for the longyi which the man is seen in. I’m not a fan of paan, but strangely even The Family skipped it. We’ll have to go back to find whether there is a large difference in flavour between the Indian and Burmese variety. If you think that placing this photo so prominently in the blog is exoticising Myanmar, then you are right. 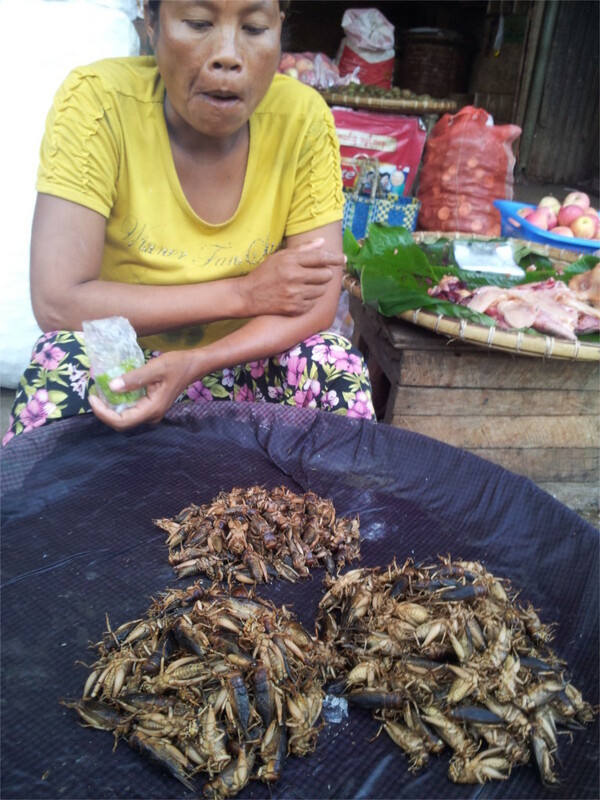 You would also do it if you walked through a market where almost everything was boringly normal, and then suddenly chance on a vendor selling insects. In a thought-provoking article in Science the agricultural scientist M. Premalatha and her colleagues write "The supreme irony is that all over the world monies worth billions of rupees are spent every year to save crops by killing a food source [insects] that may contain up to 75% of high quality animal protein." I find that I can eat and enjoy almost everything that other humans can eat. I did not share a language with the vendor so I could not ask how to prepare these animals for the table. Nor could I figure out what they are called. So, as a tourist without access to a kitchen, I lost this opportunity to taste something really different. Another time. 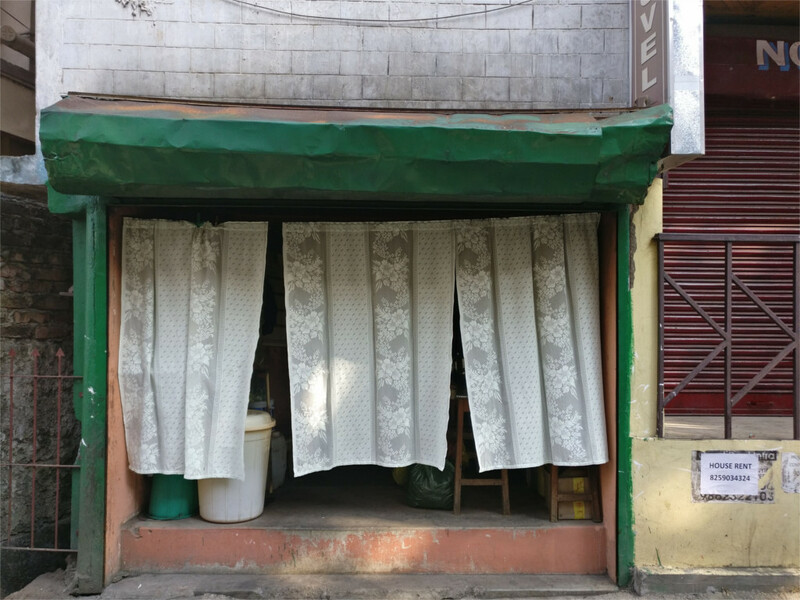 This lady was very amused by me stopping to take a photo of everything I saw. 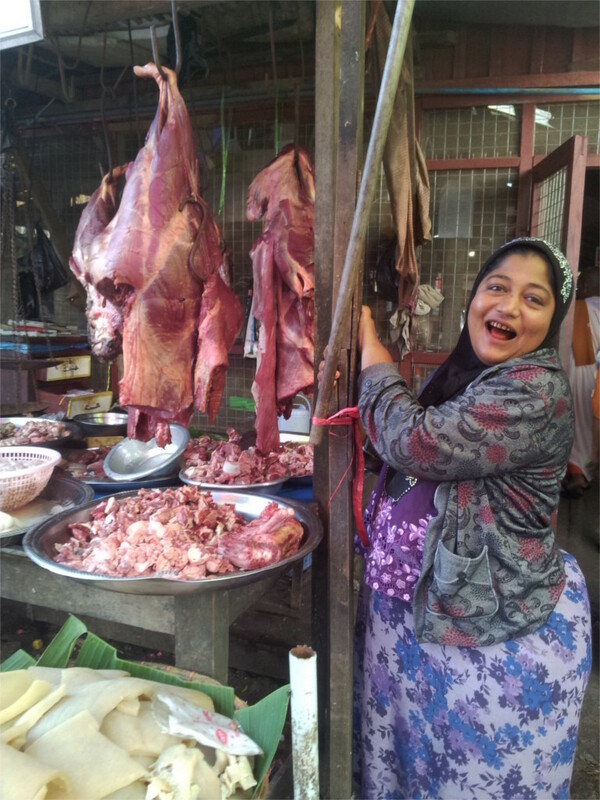 She was selling meat, and called me to take a photo. Her style of dress was different from that of the others, and she had a short head covering. From this I guessed that she could be Muslim. If so then could it be that Muslims specialize in butchering and selling meat in Myanmar just as they do in India? In India this started and is perpetuated by a remnant reluctance among Hindus to kill land animals. There could not have been such a taboo in Myanmar. Perhaps this is an inconsequential coincidence, and perhaps she is not Muslim after all. 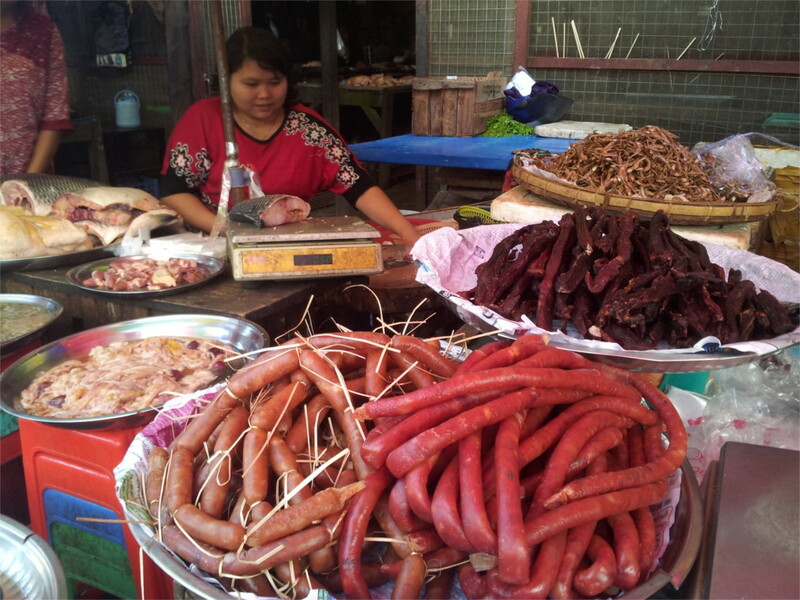 Preserved meat also plays a significant role in Burma’s food, if the market is anything to go by. There were several different kinds of sausages and dried fish. 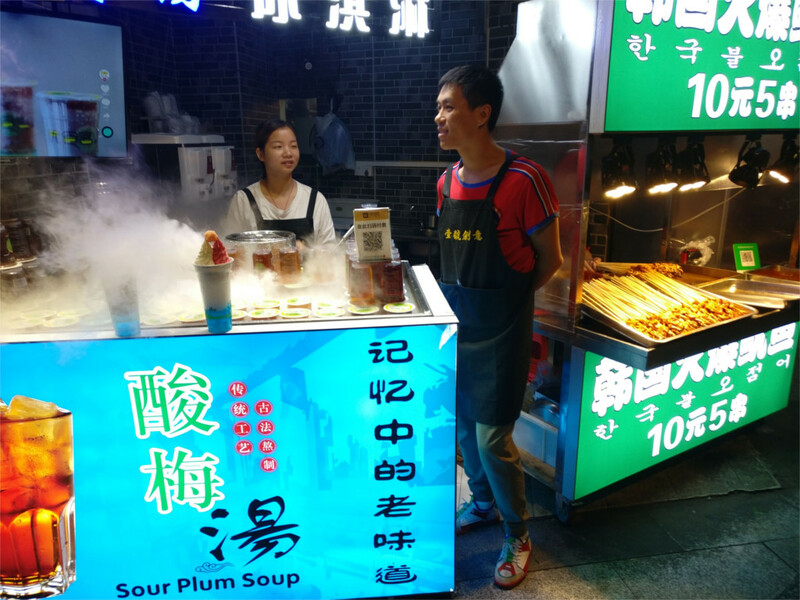 I later tasted dried fish in congee one morning at breakfast, but I never got to taste the local sausages. The list of reasons to go back to Myanmar is quite large, as you can see. 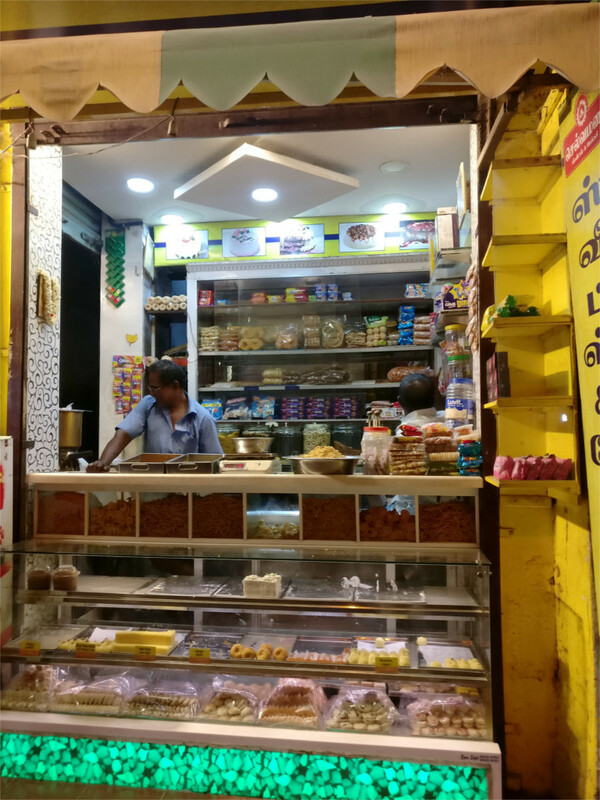 The last shops I came across before leaving the market had sweets and pickles. 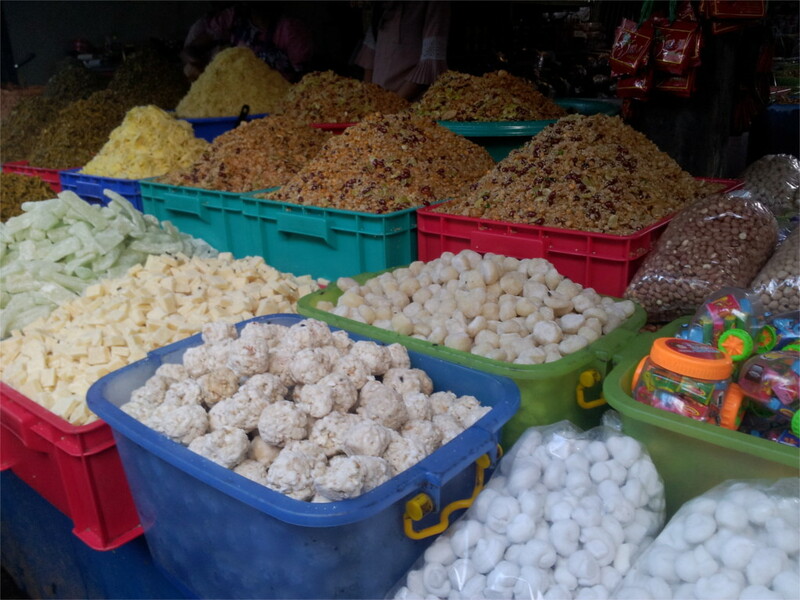 The sweets in the front are mostly candied fruits and vegetables, similar to some traditional sweets in eastern India. The pickles were quite different. 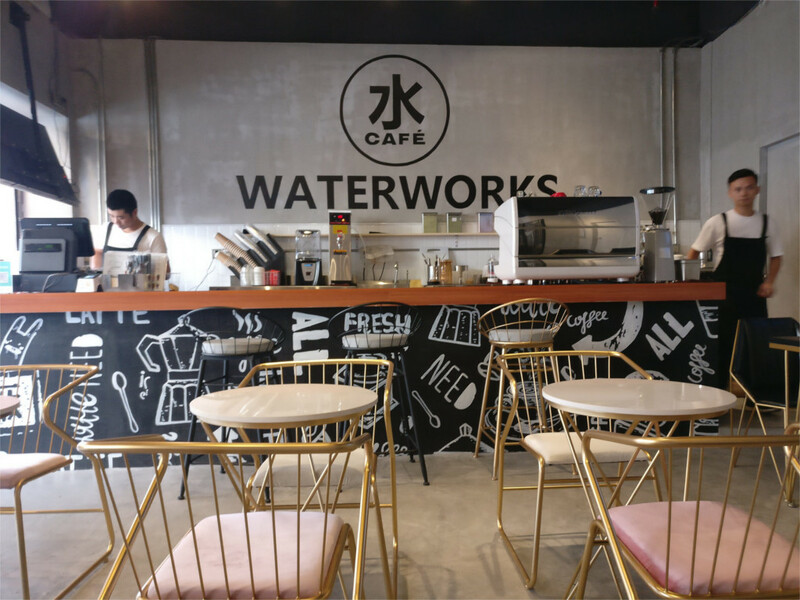 We got to taste some pickled tea at this shop. Later I searched for and found pickled tea in salads a couple of times for lunch. Unfortunately one could only get the tea in little plastic bags which didn’t seem very leak proof, otherwise it would have been nice to bring some back to add variety to our daily salad. As always, I’m left with a nice warm and fuzzy feeling after a walk through a market, even if I do not buy any food. We went out and had Burmese style tea with large amounts of condensed milk, and sweets called monbao.